Whether you’re a beginning golfer or a 5 handicap, Physiomed can help make sure your health isn’t hindering your game. We’ll then design a comprehensive golf conditioning program, combining therapeutic treatments to correct any weaknesses or limitations with sport-specific exercises to strengthen key muscles and improve range of motion necessary for an efficient and effective golf swing. Hours spent at the driving range won’t help if you have physical limitations that are affecting your game. 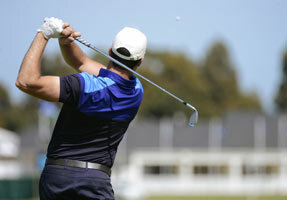 Do you want to improve your golf swing? Start by improving your health. Book an appointment today.